This year, the programme explores ‘ritual’. Rituals of all kinds, ancient and modern, are seen in cultures from all over the world; where there is community, there is also ritual. LightNight will explore personal and collective rituals, from the spiritual to the habitual, and consider how they help us to understand the world and define, or transcend, our place within it. 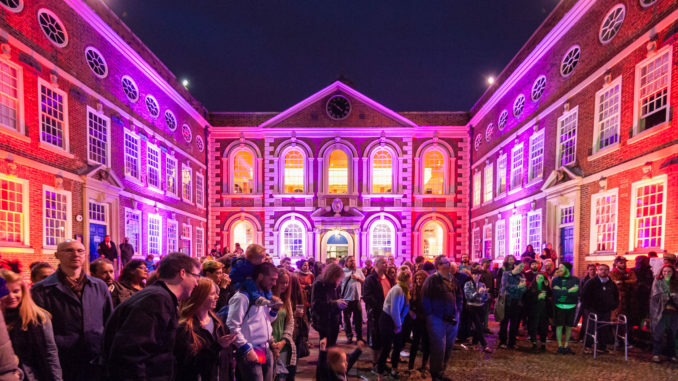 The full festival programme will be released on 15 April, but LightNight will be teasing a few bits and pieces before then so do keep an eye out over at their website. You can also pre-order your printed festival guide – information on how to do so is below. And don’t forget to let LightNight know you’re coming (and invite your friends) at the official Facebook event page here!